The art school was undergoing a £35m restoration project at the time after first being gutted by fire in 2014. During the ABC's 144-year history it has been a diorama theatre, a circus, a dancehall and a cinema. 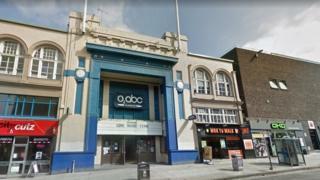 On 15 June last year the O2 ABC building and the category A-listed building art school were destroyed by fire. All the floors and the roof of the school, designed by architect Charles Rennie Mackintosh, were destroyed leaving just the outer shell of the building. That has been encased in scaffolding for more than six months. Shows due to take place at O2 ABC were immediately cancelled following the fire and future gigs rescheduled to other venues including to the O2 Academy Glasgow, The Garage, Glasgow and the Barrowland Ballroom. By 1888 it became one of the first buildings in Glasgow to be fitted with electricity and in 1896 was the site of Glasgow's first public film.